A February Monday dawns cold and gray outside my bedroom window. Cocooned in a down comforter, consciousness begins to dawn over my still-fatigued body. I squint at the clock…7:12 am. Monday’s agenda begins to scroll in my mind: meeting at 8:00, client consultation at 9:30, lunch with Terr….wait…7:12… WHAT?!! Here is where the rubber meets the road! Mind and body shift into gear: fast forward. Bolt out of bed, wash face, brush teeth, makeup shortcuts, flat iron to hair, grab a wardrobe pod. Done! Fifteen minutes from bedroom to driver’s seat, I am fully accessorized and ready to roll. A satisfied face grins back in my rear-view mirror. I am the gold medalist of speed grooming, triumphant on the platform. Think about your grooming routine. Do you have a 15 minute exit strategy? Let me clarify: I don’t mean an “out the door” look with disheveled hair, a stained shirt, and a frazzled look on your face that gives the impression you rode a cyclone to work. I’m asking if you can go from bed to beautiful, looking your absolute best, and wearing a calm countenance that sends a message of peace to those around you—in just 15 minutes? 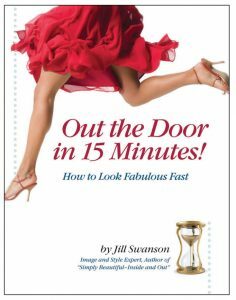 Over the past five years I’ve developed an effective method for looking fabulous – fast. I’ve analyzed what slows us down and found practical solutions. This book has been designed to make the dream achievable for you. ONLY 1 DAY LEFT for you to purchase Out the Door in 15 Minutes! 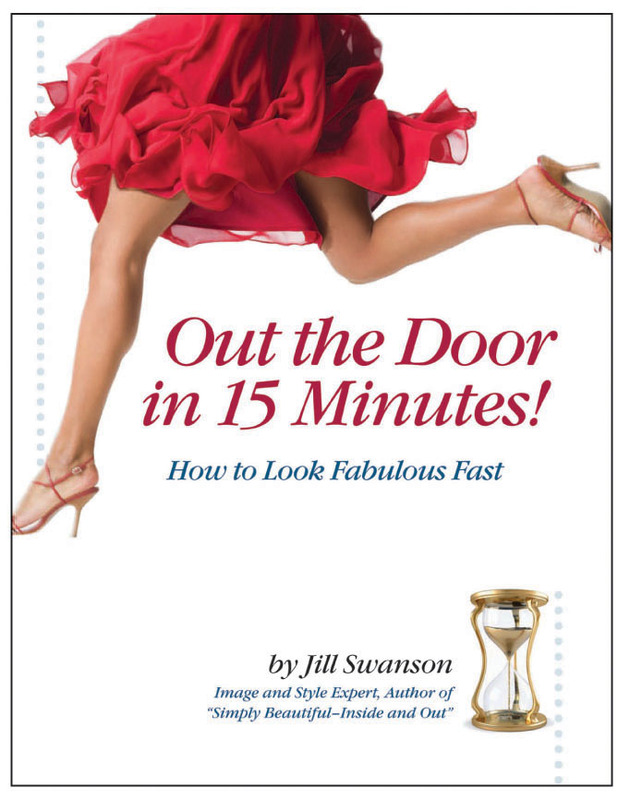 Look Fabulous Fast for a special price – order you copy HERE! This offer ends Saturday, April 13, 2013.